Do you deliver through out South Africa and what are the courier fees? Yes The Biscuit Studio does, our local courier fee is R85. Can I buy some tools and equipment at the class? Yes you can buy cookie cutters and stencils at the class BUT should you require a certain item, please let us know as we do not take our whole range to the classes. You can also pay either by card or cash. Can I reserve a ticket for a class and pay later? Unfortunately our classes fill up quickly and it has to be a first come first serve basis, so we do not reserve places/tickets without payment. We have made sure that we have all the latest up to date security on our website, so yes it is safe and your information is private and secure. I’m having troubling paying online. The banks have to make online shopping as secure as possible, so there are certain steps in place when paying online to make sure your banking information is secure. Here a few tips when paying online through our paying system. 1) Make sure you use the same email address that you have registered with the bank. 2) Have you entered your delivery address? 3) Your bank card must be shopping online friendly and 3D secure, you can change this option on your online banking app. Has my payment gone through if I get a failed notification? No. Your money has not been taken off your card. Do we have to book a class online? We have had an online booking system put in place so that there is less chance of error with your booking. How long will it take for my parcel to arrive via courier? It depends when your order is placed and processed but generally 2-3 working days. What do we need to take when we collect from Hilton Postnet? You will need to take the invoice that is sent to you when you have purchased your items, as proof of purchase. Can we collect our parcels/shopping from you? We currently do not have a walk in shop but we have made arrangements with Hilton Postnet, so that you can collect your items FREE of charge from there. When checking out select, collect Hilton, PMB. This facility is ONLY for the Hilton,Postnet (39 Hilton Avenue) You will be notified via email when your parcel is ready for collection. Do you deliver through South Africa and what are the courier fees? We do deliver throughout South Africa, our courier costs are R85 per delivery. If you spend R450 or more you qualify for free delivery. Where are you based and where do you hold your classes? We are based in Hilton, Natal Midlands but we hold our classes at Thorn Tree Lodge, Hayfields, Pietermaritzburg. We do not have a walk in shop. Do you do custom biscuit orders? We unfortunately do not do custom biscuit/cookie orders anymore. Yes they are, but also keep in mind that if a stencil is used repeatedly and often, it will eventually wear out, so be gentle and wash them with care, for a longer lifespan. 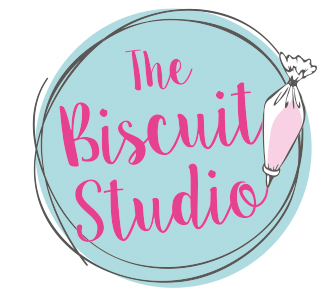 Do you need any experience to do a basic biscuit icing class? No experience is needed to do a basic biscuit icing class. Do I need to bring anything to a biscuit class? No, everything is provided. Maybe just a pen if you would like to jot down any extra notes. How do I book for an icing biscuit class? You need to book & pay on my website, follow the tab ‘classes’ and scroll down to the date and class you would like, click Book your place, follow the prompts and check out. You’ll then receive a confirmation of your booking via email. Do you need an airbrush system? My range of stencils are mostly designed so that you do not need an airbrush machine. Please click HERE for tutorial on how to stencil with royal icing.